Trendfinder’s emini futures trading systems did not have any closed trades today. 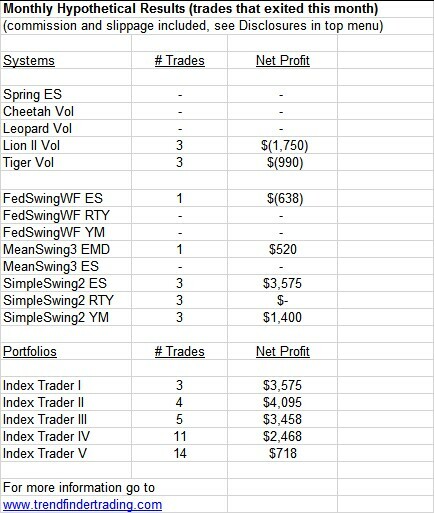 Trendfinder’s emini futures trading systems did not have any closed trades this week. 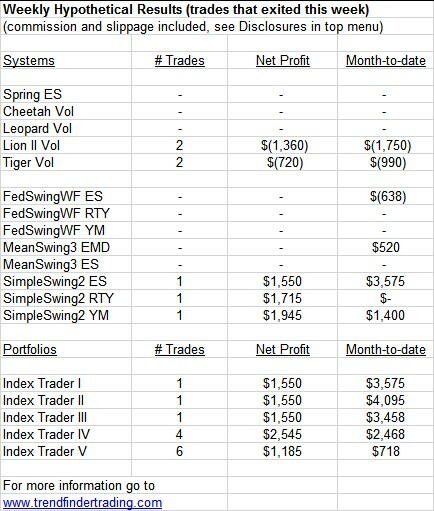 The standout system this month was SimpleSwing2 ES. Overall, each portfolio had a net profit this month. Not much to say about the market right now other than not much is happening. The Fed is now neutral to slightly accommodative. Large cap indexes are over their 200 day moving average, and small cap indexes are below. I could make some comments/predictions about this, but it would be waste of time. I think it’s better to let the market do what it does and utilize trading systems to profit from the moves. Two daytrading systems had trades. 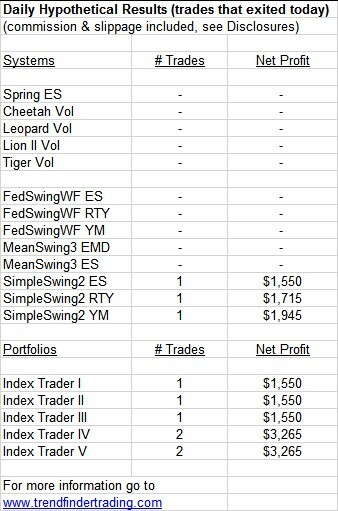 SimpleSwing2 exited a long trade in every market. Results is a profitable week for every portfolio. SimpleSwing2 exited profitable long trades in every market.